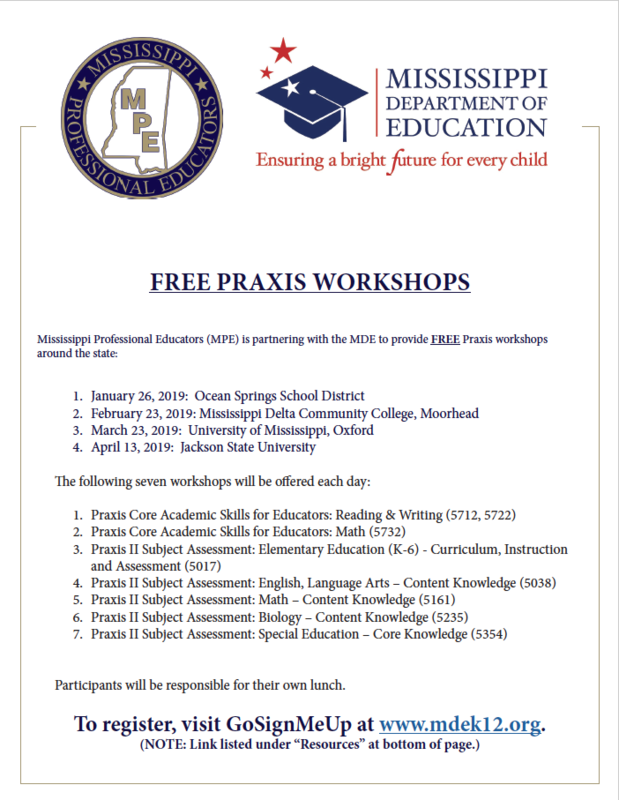 MDE and MPE Host FREE Praxis Workshops! Due to the limited seating, we expect the workshops to fill up fast. Participants must register at the GoSignMeUp link provided. Participants who do not register will not be permitted in the workshop. Should you have questions, please contact Mrs. Shelia Shavers at 601-359-3631.